As a leader in the field, it should be no shock that Ford SUV sales have recorded 37% growth over the past six years, with 800,000 SUVs being sold in 2017 alone. 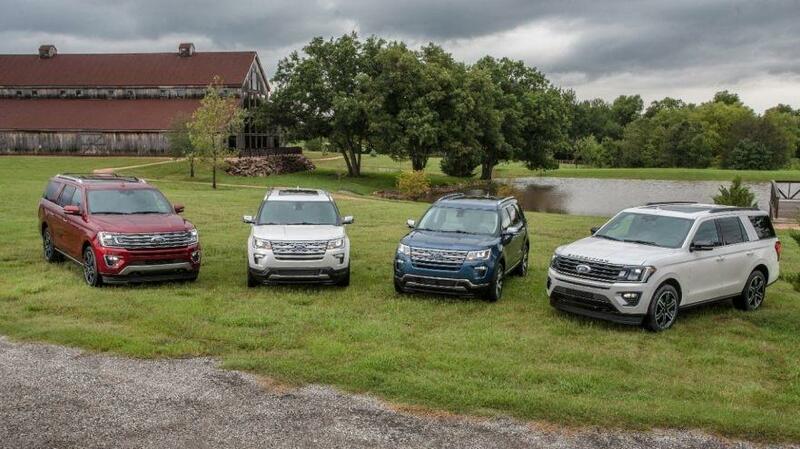 Because of this booming demand, Ford recently used the giant platform of the State Fair of Texas to unveil four 2019 special-edition SUVs: Expedition Stealth Edition, Expedition Texas Edition, Explorer Limited Luxury Edition, and Explorer Desert Copper Edition. These special 2019 Ford SUVs will soon be available at Southern California Ford Dealers, we also thought it would be a perfect time to take a closer look at each. Expedition Stealth Edition: This new luxury, full-size SUV takes the current Limited trim and adds gloss-black accessories, 22-inch premium black-painted aluminum wheels with continuously controlled damping, gloss-black features include grille, mirror caps, roof rails, running boards, tailgate appliqué, rear bumper skid plate and hitch cover, headlamp housing, fog lamp bezels, and taillamp housing. Drivers will also enjoy showing off black “Expedition” badging, body color door handles, and red interior stitching accents the interior. Expedition Texas Edition: Since everything is bigger in Texas, this edition includes 22-inch wheels, Cargo Package, Heavy-Duty Trailer Tow Package, and enhanced active park assist. Explorer Limited Luxury Edition: If the Ford Explorer Limited trim wasn't luxurious enough, this new SUV offers 20-inch premium painted machine aluminum wheels, multi-contour seats with Active Motion, Nirvana leather seats with micro-perforation, an upgraded leather steering wheel, door trim with leather inserts, and chrome mirror caps. Explorer Desert Copper Edition: Not to be outdone, this edition is based on the XLT model but it adds 20-inch polished aluminum wheels, chrome mirror caps, Ebony Black leather-trimmed first and second-row seats and door trim panel. On the inside, the Desert Copper Edition features copper highlights and stitching and Ebony Black vinyl third-row seats with copper accents. At Southern California Ford Dealers we help represent the 3rd leading market for the Ford Expedition. This experience and level of knowledge make our 69 Ford dealers experts on the Ford Expedition and the entire line of Ford SUVs. If any of these dynamic new Ford Expedition and Explorer SUV editions catches your eye, the time is perfect to take one or all on a test-drive. While you're visiting a Southern California Ford dealership, don't forget to ask about not only their new and pre-owned Ford SUVs, but also the entire line of Ford trucks, cars, and vans. To find your local Ford dealer, just visit our website and use the easy-to-use Locate A Dealer tool. See you soon!